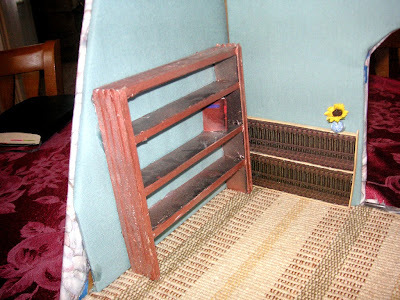 One of the girls' favorite accessories in the toy shul was the bookshelf full of siddurim (prayer books). They are very quick and simple to make. Making them became a bit addictive, and a portable project to pass the time in waiting rooms. 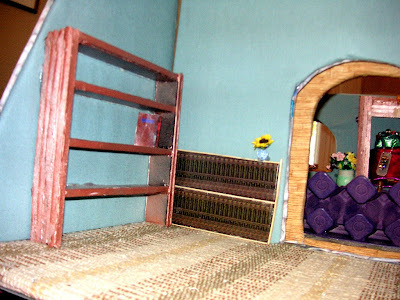 Consequently, we had two rows of siddurim (prayer books) in the synagogue doll house bookcase. That represents over eighty tiny books! A year later, however, they are all gone. 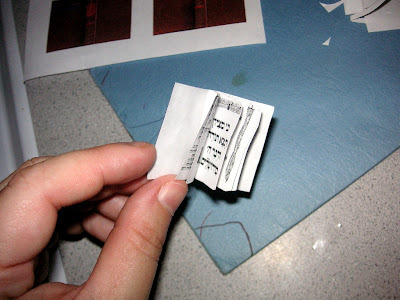 What follows are instructions for making the tiny siddurim. Please don't blame me if you find yourself making a few hundred of time. You can't say I didn't warn you. 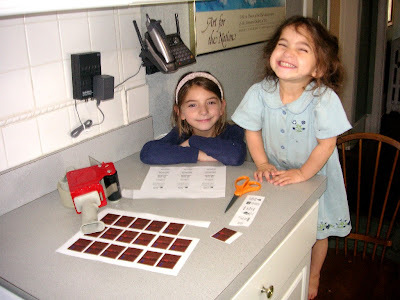 Emily and Gretta were excited to learn that we were making more siddurim. Doll house sized siddur pages front sides This has the four copies of the front sides of the three sheets that make up 6 of the 12 total pages of the siddur. This is a black and white (monochrome) page. Doll house sized siddur pages back sides This has the four copies of the front sides of the three sheets that make up 6 of the 12 total pages of the siddur. This is a black and white (monochrome) page. Doll house sized siddur covers This is the exterior of the siddur. It was made from the Artscroll Siddur cover. It should be printed in color for best results. (Alternatively, these could be printed in black and white, and then colored with markers or crayons.) It is a bit larger than the internal pages. back page printed upside-down on the back of the page of front sides. Just pay attention, and you'll avoid wasting paper through this mistake. 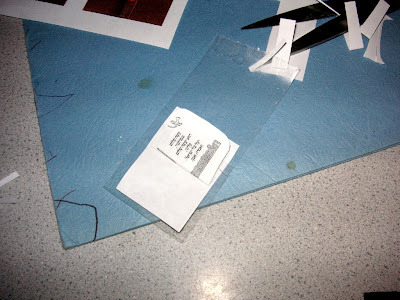 Supplies needed: scissors, clear packing tape, a stapler and the above-mentioned printouts. The (monochrome) front and back pages, printed on both sides of a single sheet of paper, yield 4 books. The (color) siddur covers are only printed on one side of the paper. That page yields 15 books' worth of covers. 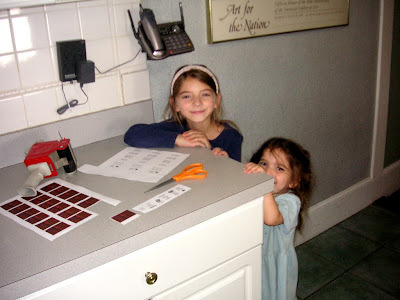 The text of the siddur pages came from shrinking a kids' siddur I made when Jonathan (now 15) finished kindergarten. It represents the tefillot (prayers) the kindergarteners at our day school had learned by the end of the school year. I copied them down and made a little siddur for him and his classmates to use over the Summer, before first grade. The kindergarten teachers liked it, so they adopted it, and all the future classes use this siddur from the beginning of the school year. My kids love that they can actually daven (pray) from these teeny tiny siddurim, with the same text they used in kindergarten. 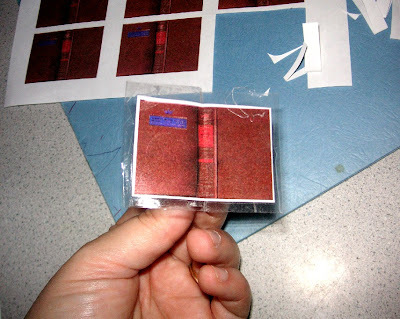 Each book is composed of a cover and three double-sided mini-sheets. 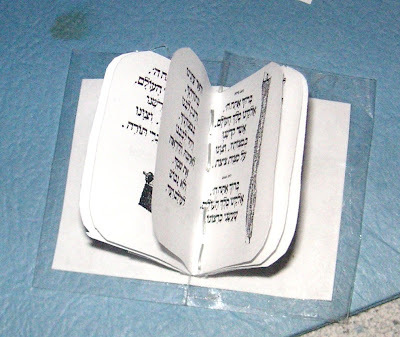 These double-sided min-sheets are folded in half to make the twelve pages in the completed siddur. 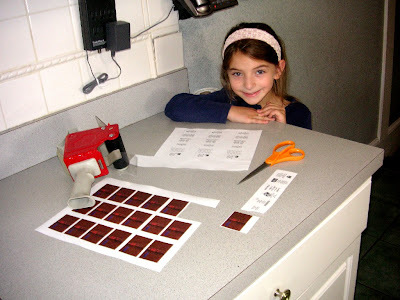 There are four double-sided strips on the completed printout. Each strip has three double-sided min-sheets and in a horizontal row. Cut out a cover, leaving some border of white space around the perimeter of the picture. This will be trimmed later. 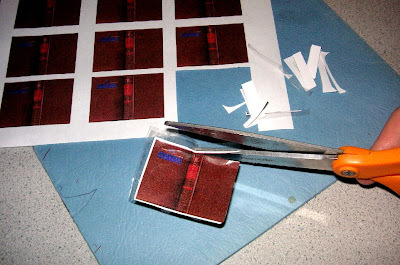 Cut a strip of double-sided mini-sheets, and cut out the three mini-sheets, leaving ample border for later trimming. 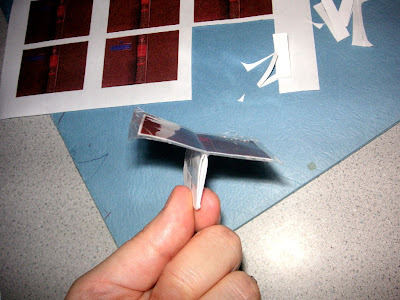 Fold the mini-sheets and nest them into a 12-page booklet. For best results, line up the top line of text of each sheet. Don't worry that the pages are uneven. They will be trimmed later. Just get the top lines as lined up as possible. 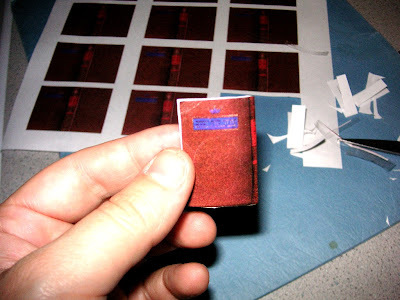 Verify that the pages are in order by thumbing through the booklet. Staple once or twice along the fold. Keep the staples within the borders of the text (not above or below) for ease of trimming later. 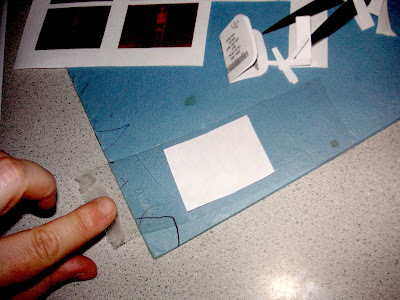 For safety, the smooth part of the staple should be on the inside of the booklet. The sharp edges of the staple should be on the outside of the fold. Little fingers will be protected from the sharp edges by the cover. Cut a piece of clear packing tape, a bit longer than twice the length of the cover. Place the cover, outside front side down on the packing tape. Place the tape sticky-side-up on the work surface. Place the coverless booklet inside the cover. Line the folded edge of the booklet up with the middle/spine of the cover as much as possible. 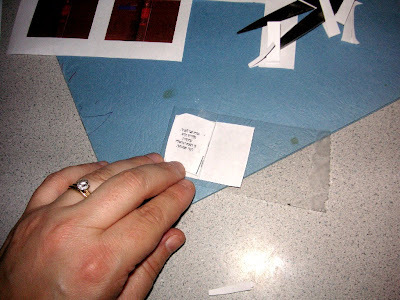 Fold the left hand side of the tape over the inside of the left hand cover, such that it also covers some of the booklet's last page. 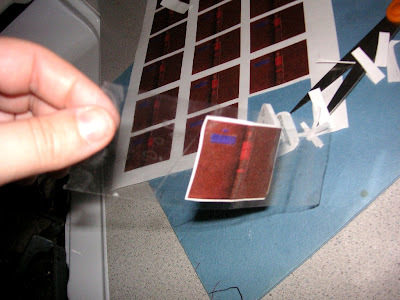 This accomplishes two things: the left hand side of the cover is fully 'laminated' by the tape, and the tape attaches the internal booklet of pages to the cover. that it also covers some of the booklet's first page. 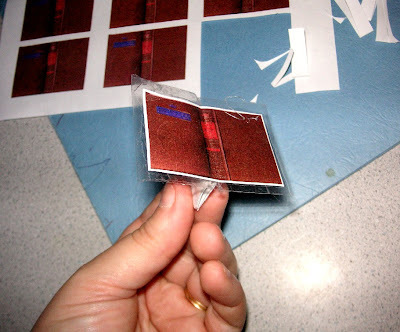 Trim the internal booklet pages as small as possible, while still leaving the page printing intact. The internal pages should be smaller than the cover. I like to round the edges. Fold the cover to shape. Trim the cover, removing the white page border. catalog. 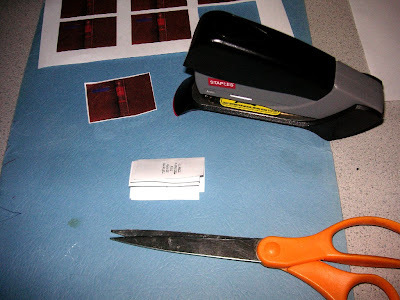 The clipped photo was then glued to a cut piece of foamcore, and bordered by coffee stirrers. 4 comments, so far. Add yours now! You should consider putting your unique craft ideas together in a book. They are quite different from the usual decorations and masks type things found in books of Jewish crafts for children. This blog is amazing! I love all the crafts - all the steps are so clear and easy to follow! And the pro parenting advice seems useful as well. Thank you! I just read a similar comment from SephardiLady on a different post. Do you think there is demand enough to justify such a book? Welcome! I'm glad you enjoy it. One correction, though: There isn't any pro parenting advice; I'm strictly an amateur!